I see this as a threat note to other OEMs, because millions of people are already waiting to claim ownership of this new Nokia device following the debut of Nokia 6 Android device. We all know that Nokia is built to last… Quality is what they are known for. Rumors have revealed the Nokia P1 would be fueled by Snapdragon 835 chip. It is expected to feature a 5.3-inch quad HD IGZO display from Sharp. Some of the other features of Nokia P1 include a 3,500 mAh battery, and Android 7.0 Nougat OS. >> It features a 22.3-megapixel rear camera, 6 GB of RAM and 256 GB of native storage. >> a hybrid SIM slot at the bottom part of the left side of the device. 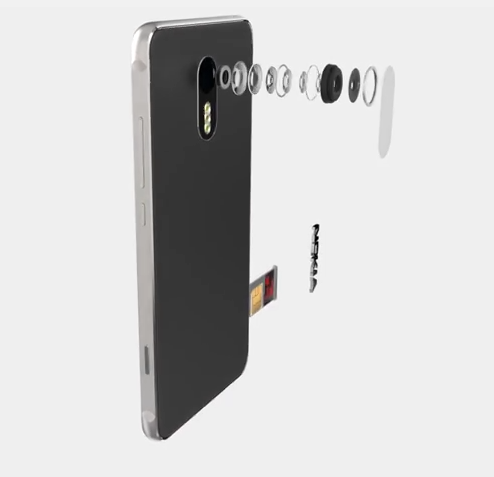 Its rear camera is enabled with triple LED flash along with a Nokia logo at the center. >> The right edge of the device seems to house a display lock/unlock button and volume controllers. >> Below the display is a physical home button that probably features a fingerprint scanner, and it seems to sport a 3.5 mm audio jack, a USB Type-C port and an external speaker. We don’t know when the Nokia P1 will be announced but it’s definitely something you’ll love to handle exceptionally. No front flash? I dont wonna believe it. Wow! This is awesome. I can't wait for this device to come out. Nokia is bqck to take its place in the mobile market…the phone looks so tempting to get.